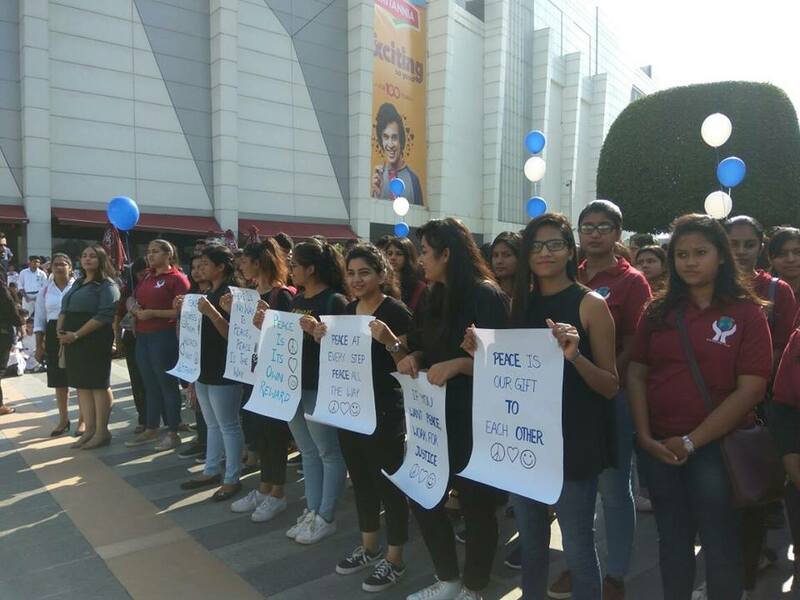 The Interact Club members of Tribune Model School attended session conducted by the Rotary Club Chandigarh in the Elante Mall on 29th September, 2018. The session brought together the Rotarians, Rotractions and Interactions together from the tricity to meet the President, Barry Rassin, of the Rotary International. In his address, Mr. Barry talked about the importance of relationships in our life and the choices that we make everyday. The theme of the session was "Peace". The Installation Ceremony of the new members of the Interact Club of Tribune Model School for the session 2018-2019, namely the President Shivansh, Vice President Mehak, Secretary Sarika, Treasurer Manmeet and directors Ansh, Harsh, Harsehaj, Riya, Himanshu, was organized by the Rotary Club, Mohali at the Fortis Hospital, Mohali. The President of Rotary Club, Mohali Mr. Harcharan Singh Marwah did the honors. The Secretary, Mr. Satish Arora, Former President, Mr. Sukhpreet Singh Gyani and Mr. Gursharan Singh were also in attendance. The workshop was conducted by Dr. Shradha, Ms. Neha and Ms. Sandeep from the Fortis Hospital. The workshop focused on educating the members about “BLS – Basic Life Support Skills” like CPR and First-Aid. The students were shown videos focusing on the topic. A demo for conducting CPR was shown and the students were encouraged to practice the new skill on dummies over there. Then the students were made aware of certain first-aids that could be given in the hour of need. The workshop was attended by the Interact Clubs of six other schools. Workshop on "Basic Life Support System" & Installation of New President & Secretary of Interact Club at Fortis Hospital, Mohali on 5th July, 2017. 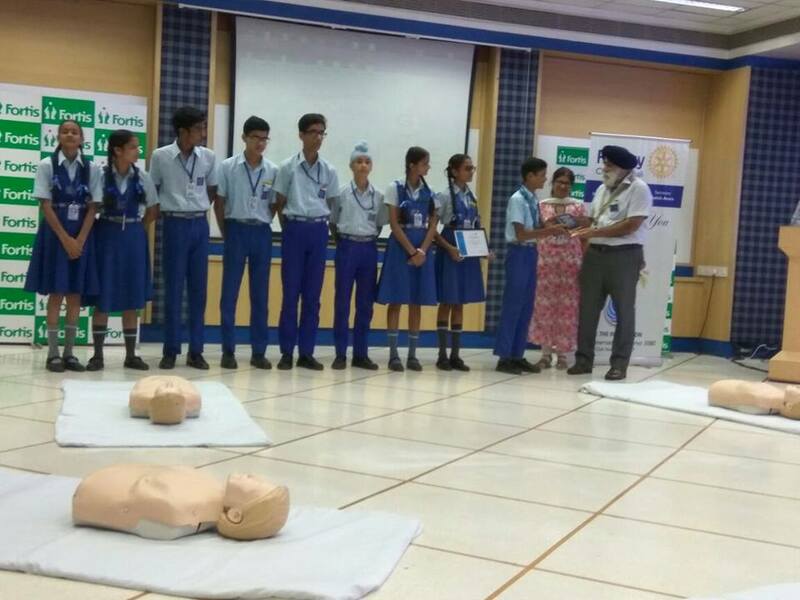 A workshop on “Basic Life Support System” was organized at the Fortis Hospital for the students of the Tribune Model School, Chandigarh by the Rotary Club, Mohali on July 5th, 2017. The workshop educated the students about the Basic First Aid that can be performed during a Cardiac Arrest, Heart Attack or Choking. A total of Sixty Nine students with four teachers attended the workshop. 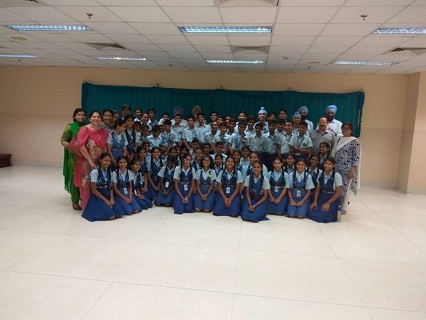 Interact Club of Tribune Model School, Chandigarh attended a workshop on ‘Basic Life Support System’ at the Fortis Hospital on February 06, 2017. 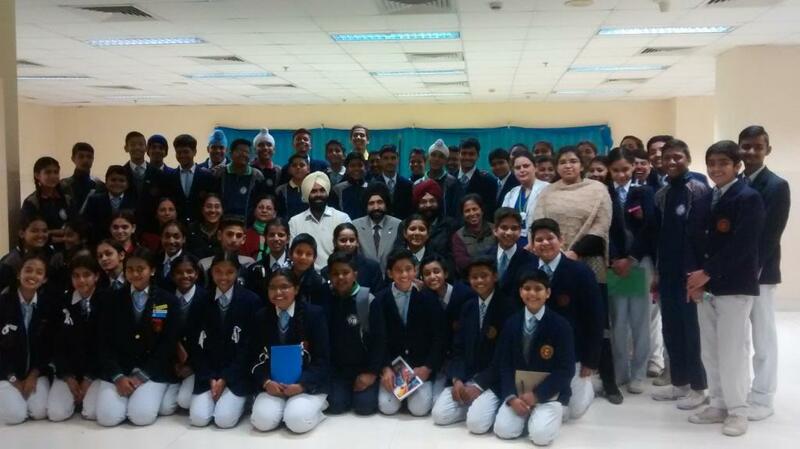 This workshop was organized by the Rotary Club, Mohali. A total of fifty eight students went there accompanied by four teachers. 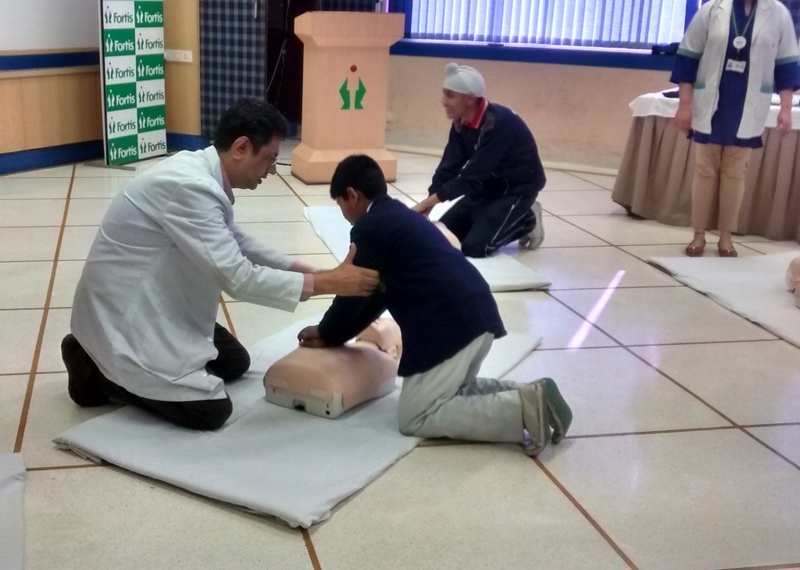 Dr. Rahat Brar, radiologist at the Fortis Hospital, conducted the workshop which gave insight to the students about the techniques of CPR and how to help a person experiencing choking. The students were shown videos of the CPR act. Also, the students were made to do these techniques practically there, in the guidance of the doctors. Lohri celebrations at Tribune Model School during the morning assembly on 13 January, 2017 was marked by the induction of leaders of the Interact Club by the Rotary Club, Mohali. 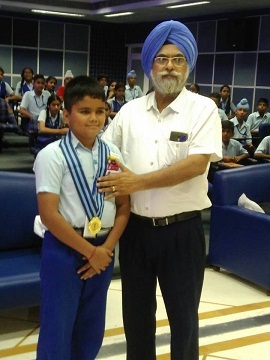 A Charter of Induction was formally presented by the President, Mr. Sukhpreet Singh Giani to the newly inducted President of TMS Interact Club, Rahul Rana. Mr. T.P.S. Jassal, Director Youth, Rotary Club, Mohali conducted the Installation Ceremony where Shruti was inducted the Vice President, Nishtha, the Secretary, Yudhvir, Divyanshu and Deepika, the Directors of the Interact Club. Mrs. Anjana Mittal, Teacher Co-odinator shared that the school is already engaged with the Adult Literacy Programme of Rotary International.